Automotive engine cooling systems have changed little over the decades. The water pump circulates coolant through multiple passages in the engine block and head and absorbs heat, then sends the coolant to the radiator via rubber hoses. Air is moved through the radiator to remove heat from the coolant, and the cooled coolant is circulated back to the engine to collect more excess engine heat. The thermostat regulates the volume of flow through the radiator and the temperature of the coolant. The radiator cap regulates the coolant pressure. It is important that the coolant system, especially the hoses and the antifreeze, is checked regularly to ensure that everything is in good working order. 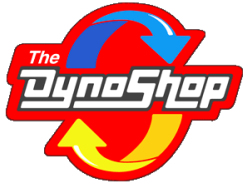 The Dyno Shop can do a thorough check of your coolant system, replace worn hoses or perform a radiator flush We can replace your radiator, if you need one, install a new water pump or any part of the cooling system. In the event that a repair is needed, we will perform the work using only the highest quality parts and ASE certified technicians. 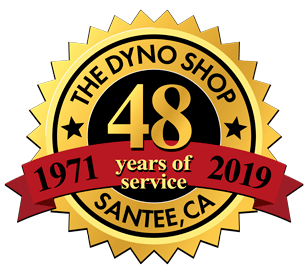 Give The Dyno Shop a call at (619) 562-3933 or schedule an appointment online.